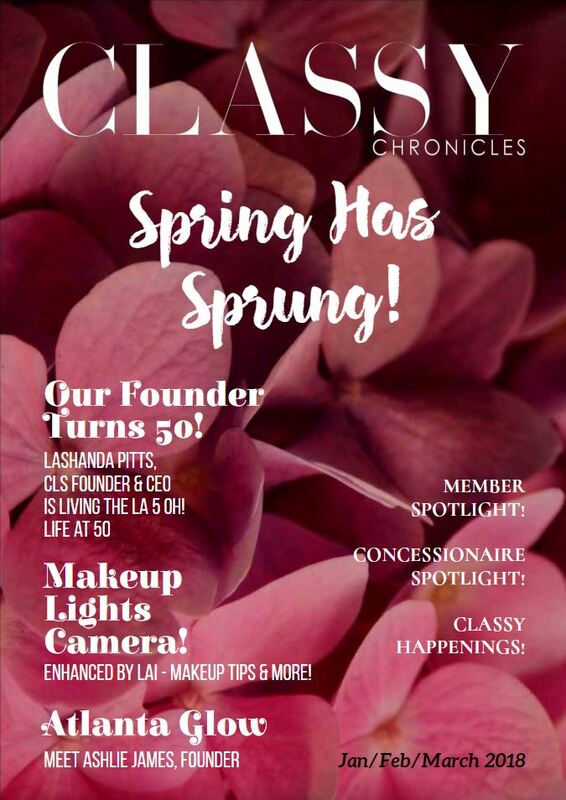 THE CLASSY CHRONICLES focuses on articles spotlighting non-profit community organizations, CLS volunteer efforts, CLS member spotlights, inspirational stories, health, wellness, beauty and finance tips in addition to serving as a platform for small businesses to promote their business. The CLS website has over 1000 visitors per month and our subscription reaches over 70,000 digital subscribers/viewers and growing. Welcome to the Spring Edition of the Classy Chronicles! Whew!! Classy Living Society was busy in this first quarter of the year with so many awesome community service missions – and we can’t wait until you read all about it! As warmer winds begin to blow, and the sun shines a little brighter on our faces, this first issue of the year celebrates amazing people doing amazing things in the community – from our members to the organizations we partner with. It offers make-up tips, helpful pointers on going green, and reports on our book club meeting and fabulous social events. Sit back and relax with a fresh glass of lemonade in hand – and get caught up on what CLS is doing in the community. Spring has sprung! Get your company or brand in front of thousands of engaged readers today! 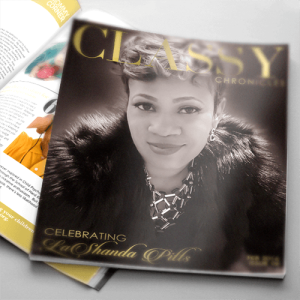 The Classy Chronicles highlights the non-profit community efforts of Classy Living Society. Articles provide inspiration for giving back to the community, health and wellness, work-life balance, beauty and fashion and Earth-friendly tips. Business and finance is also an integral focus, and the magazine serves as a platform for small business promotion. In full color, the pages come alive and will appeal those interested in philanthropy, travel, business, style and environmental concerns, among other things. Through its reach to an ever-increasing subscriber base of 70,000+ readers, Classy Chronicles gives the world a peek into Classy Living Society and embodies the heart of the organization: to give back, inspire and socialize. If you are interested in writing for the Classy Chronicles, we’d like to hear from you! If you’re passionate about the topics in our magazine, then share it with us – and then share it with everyone! To join our talented team of writers, send your pitch to chronicles@cls-volunteer.org with the subject line “I want to write!” Include a small sample of your previous work, as well as links to any social sites your work has been featured on. Subscribe to the Classy Chronicles.